To meet greenhouse gas targets by 2030, three-fifths of our vehicles must be electric. In order for this goal to be realised, an electric car charging infrastructure must be developed across the UK. SPIE is tackling the issue head on – councils will need charging points, employeers will need them in staff carparks and we’ll need them in our airports etc. More and more cities are turning to electricity for their public transport networks. Some are even rolling out fully electric self-service vehicle offerings for their inhabitants. And with automobile manufacturers now offering electric vehicles at more affordable prices, and with longer ranges, the E-Mobility has finally come of age. Through the design and planning of fast charging points across the UK, we’re helping deliver the latest car charging technology and optimise users’ experience with our innovative digital application, allowing users to search, locate and access stations on the go! From small workplace charging solutions to a complete network of ultra-fast charging stations throughout the UK, our team of experts have the capability and experience to handle all of your EV charging needs. 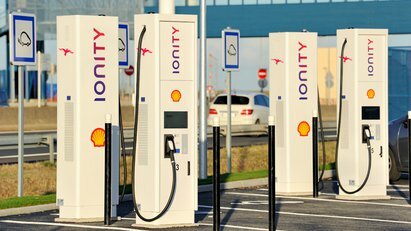 What to find out more about SPIE's e-mobility offerings?